In the previous centuries, Blue Mallow Flower Tea promotes spiritual healing and peace. 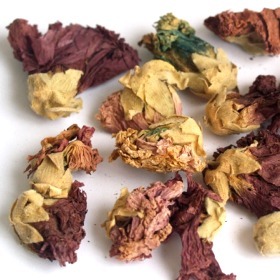 Blue Mallow Flower Tea is cooling and soothing and has traditionally been used as poultice on the belly to ease internal aches or against the stings of Martial insects. Boiled Blue Mallow Flower with a bit of honey to make a gargle for sore throat. According to the herbs history, it was once a remedy for epilepsy long time ago. Love, love, love this tea! second time ordering!